Rankin, L.P, & Stewart, J. (2012, August 21). 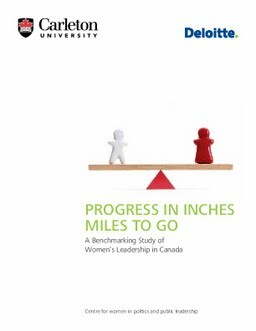 Progress in Inches, Miles to Go: A Benchmarking Study of Women’s Senior Leadership in Canada. Carleton University.